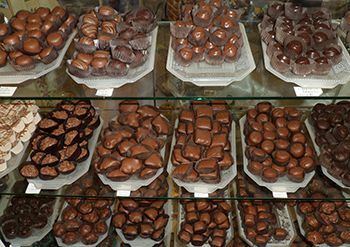 Nestled in the heart of Ridgeville, Ontario, Sweet Thoughts Chocolates is one of Niagara’s hidden gems. Come in and enjoy the ultimate chocolate experience, starting from the moment you enter the shop. The sumptuous aroma of chocolates will draw you in and the abundance and variety of treats will keep you and your taste buds enthralled. Experience our fresh, rich, delicious chocolates in our classic chocolate and gift shop. 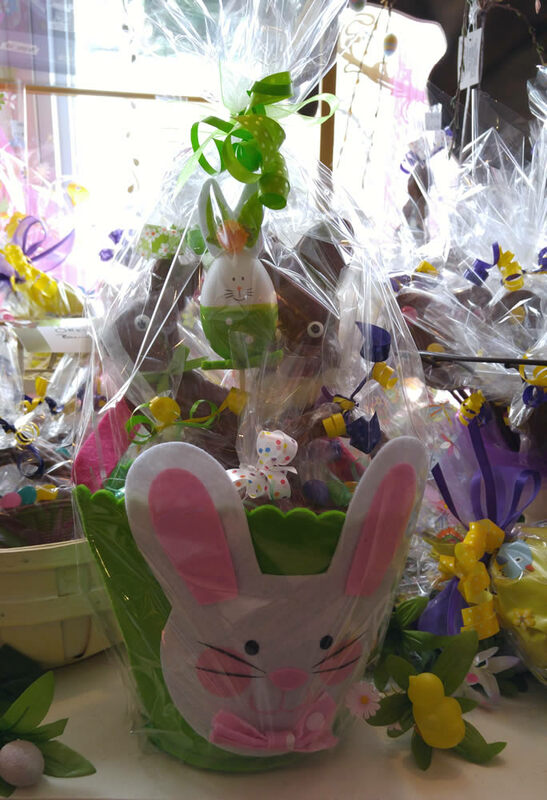 Enjoy our delicious, hand crafted artisan chocolates and confections – now available in custom baskets! 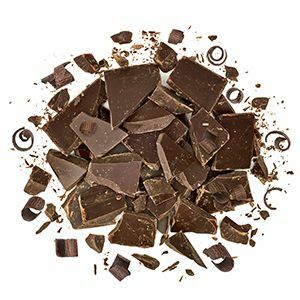 We only use the finest ingredients and traditional techniques, carefully making our sumptuous chocolates in small batches. The fortunate recipients of one of our chocolate baskets will enjoy the delectable taste of our chocolates and confections. Give the gift of chocolate magic! Come on in to the shop and talk about your needs or give us a call. We’re always happy to share the love of chocolate! Want Lots of Chocolate? Quantity Orders Available! Everyone loves chocolate, so it stands to reason that sometimes, you’re going to need a LOT of it. Don’t worry – we can help! Are you looking for wedding favours, appreciation gifts or some novelty chocolates for a special event? Talk to us about your chocolate needs. We’re always happy to help spread the joy of chocolate and have years of experience adding our delicious chocolate touches to special events.